BuildWorld has an impressive range of natural solid wood in Oak. Here are reasons to opt for solid wood floors and our range come to you from Crown. 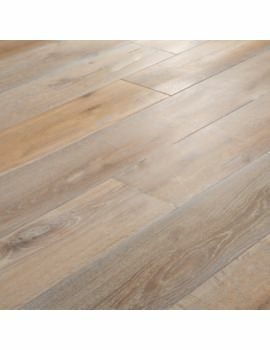 These come as wide planks, suitable for medium to large rooms. UV oiled finish combines hard wearing and low maintenance properties of lacquer with the natural look of an oiled floor. Backed by a 20 years residential guarantee. 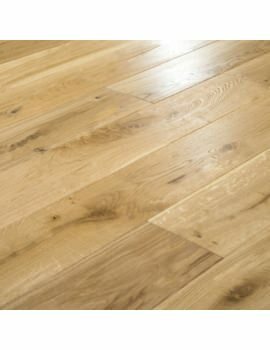 So, if you are looking to update your floor with Oak wood, call us today or have a look at our range below and select the right one based on your requirement!! There’s no building material quite like real wood to bring a warm feeling and create a rustic, traditional look to a home. 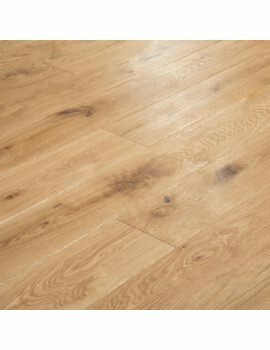 You can easily find engineered and hardwood floors in the market, both these being made from real wood, with few distinct differences in construction. Engineered wood floors are cheaper as well as easier to work with compared to solid wood. Even in wood species also the performance and quality of the floors will be different. Once these differences are explained, it is easy to choose the wood floor that fits your home and budget. Solid hardwood floors come as solid wood boards, each piece being created from a single piece of hardwood. Its thickness makes it easy for sanding and refinishing. Solid wood flooring is permanently fixed to the subfloor. Solid wood experiences expansion and contraction issues and should only be installed over plywood, wood or oriented strand board subfloors. Solid hardwood floors will also shrink or expand depending on humidity levels. Immense Durability can last a lifetime without replacement. Real wood flooring will resist dust, allergens, and mould than alternatives. It adds to aesthetic and value. Engineered hardwood has a hardwood or plywood core with a hardwood veneer layer forming the top surface. It offers increased resistance to heat and moisture compared to solid hardwood. 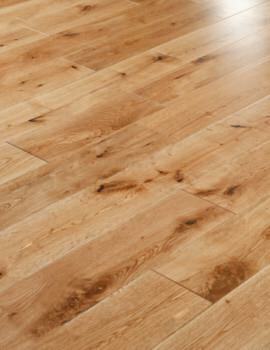 More versatile and resilient of both flooring options, it is also cheaper. Engineered floors have more stability, and more resistant to everyday wear, buckling or rippling and also stand up better to moisture while being more stable than solid hardwood. Although no wood product can retard direct water contact, humidity isn’t an issue for engineered wood floors, and these can be easily used over concrete.